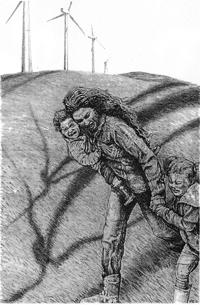 The children were there…..protests often include kids who are also aware of the environmental damages of industrial wind. SCOTLAND? WALES? ENGLAND? NORTHERN & SOUTHERN IRELAND? EUROPE? THE WORLD? THE SCOTTISH NATIONAL PARTY ARE HAVING THEIR CONFERENCE IN PERTH AGAIN THIS AUTUMN. 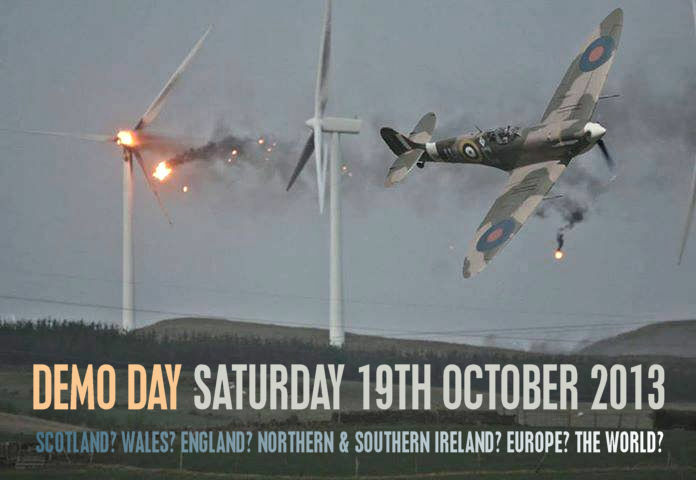 THE DATES INCLUDE SATURDAY 19TH OCTOBER – A GREAT DATE FOR A DEMONSTRATION AGAINST THEIR INSANE WIND POLICY. Here at (B)WEA we would like to support and promote the demonstration and have been thinking about how it could have the best impact. This is a great opportunity for a family day out. It was good fun last year with children in bird costumes, noise and good-natured chanting. 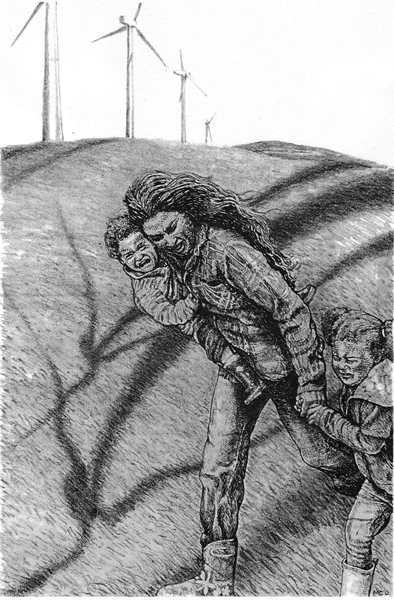 The children there showed that this is not just about adults complaining but also about youngsters who want to protect their environment from industrial wind. They showed the SNP very clearly the range of people involved. There were about 400 folk in Perth – it would be great if we could do better this year. Dublin recently had over a thousand protesters turn out – let’s try and match that. We need new ideas, slogans, posters, leaflets and…anything that makes a noise – saucepans and wooden spoons do a grand job. LET’S MAKE SATURDAY 19th OCTOBER ANTI WIND CARNIVAL DAY AND KNOCK ALEX SALMOND OFF THE FRONT PAGES AGAIN! In addition we would like to float this idea ……are there enough people out there who would like to make this an Anti Wind Day? If so, the UK could be ‘zoned out’ into several areas rather than having everyone having to travel to one location which presents so many logistical problems. There could be events from Cumbria to Cornwall. Same for Wales and NI and we would like to extend the invitation to Southern Ireland who, although not the UK, are being royally trashed for the wind energy that the Westminster Government believes it could import. Our colleagues at No Wind Turbines (NWT) and National Association Against Wind Turbines (NAAWT) have agreed to promote this idea and if people further afield in Europe and across the world want to join in – why not? We’re all in this together! Those who want to be part of this need to make all their own arrangements and choose venues to suit them. Everyone can help to promote the events on facebook, Twitter and through their own databases.